These are lowering kits that will lower your 82-04 two wheel drive S-10 chassis just a little bit or put it in the weeds. Kits do not include shocks (sold separately). Inches of drop are an approximate and vary with car and engine weight. 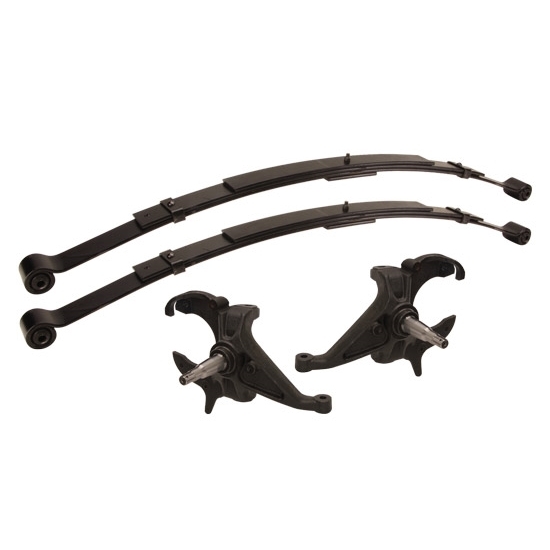 Includes 2" drop front spindles and 3" drop leaf springs.